As we are quickly approaching our ten year anniversary – Big Boys Moving & Storage BIG trucks, BIG movers, BIG savings! (813) 936-2699 wants to thank all of their loyal commercial and residential customers for choosing us above all others and making us the moving industry leader. 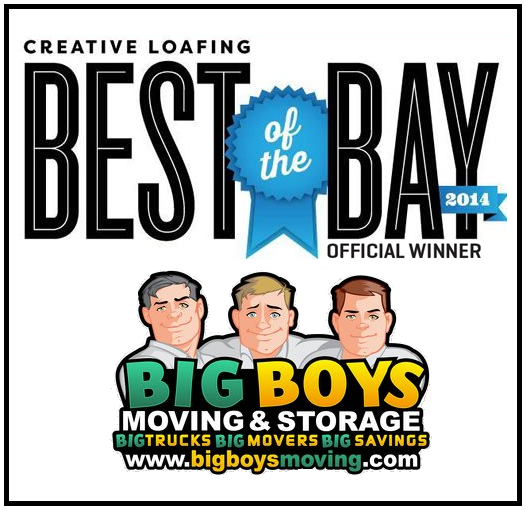 Thank you for voting Big Boys Moving and Storage Best Movers again! If you have an up coming move and need help with a small local move or a massive move, like a mansion, Big Boys Moving and Storage is ready to assist. We have different moving packages and specials which make it easy for anyone to set up their move with us. Visit our website at BigBoysMoving.com for our latest moving specials.